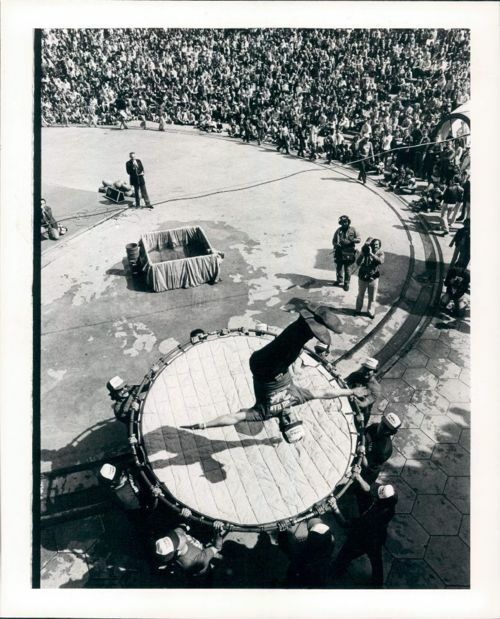 Field Day 1938. 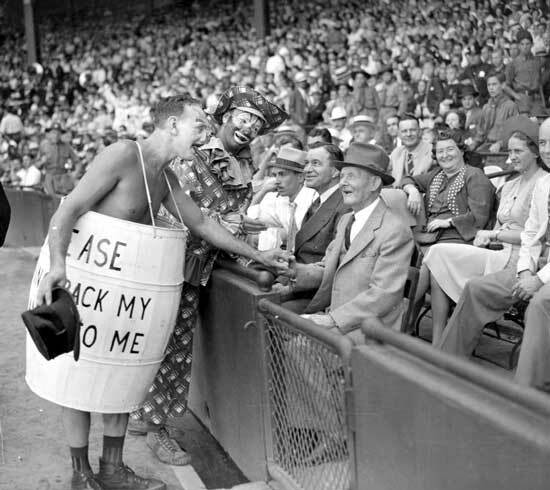 The gentlman in the stands is William H. Chapman who at that time was the oldest living Detroit Fireman. 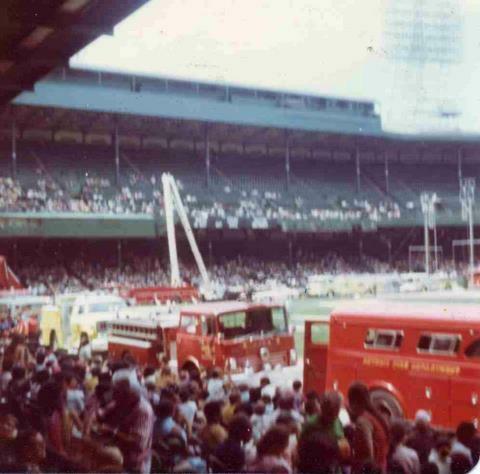 Another long standing tradition, still continued with today’s Field Days, are exciting acts designed to spotlight firefighting skills. 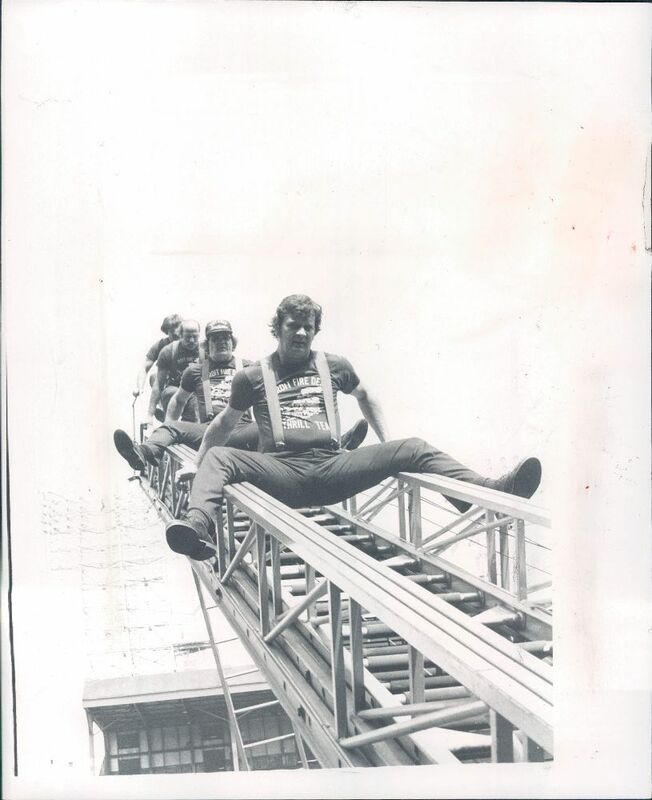 Some past acts featured mock rescues, life net jumps, ladder sliding, and more recently Spider Man has arrived by sliding down a rope web from the top of a ladder truck. 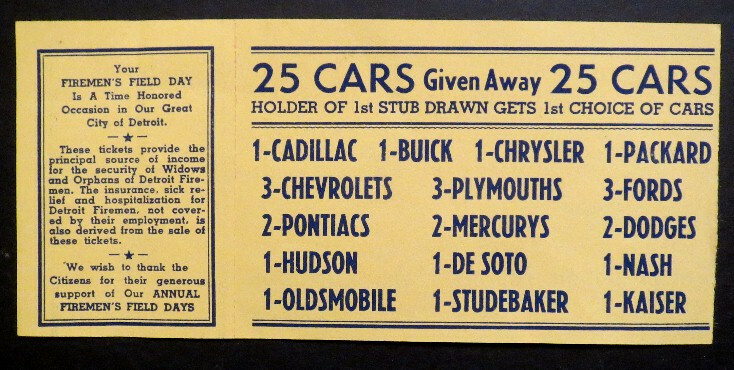 At one point the premier event of Field Day for the adults was a raffle of 25 brand new cars. 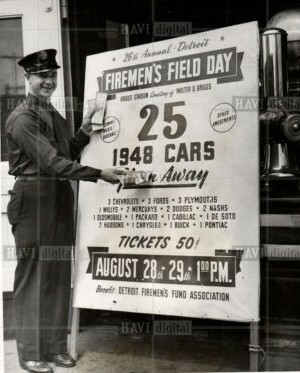 Ticket were sold for 50 cents each and profits from the drawing was the principal fundraiser for the Detroit Firemen’s Fund Association in their support of Firefighters’ widows and orphaned children. 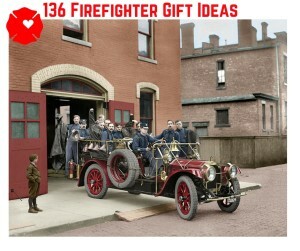 Today the drawing has been replaced by a 50/50 drawing, still supporting the Firemen’s Fund Association. Last year’s Grand Prize was over $8,000, with 4 additional $500 consolation prizes. Tickets for the 50/50 drawing sell for $5.00 each. 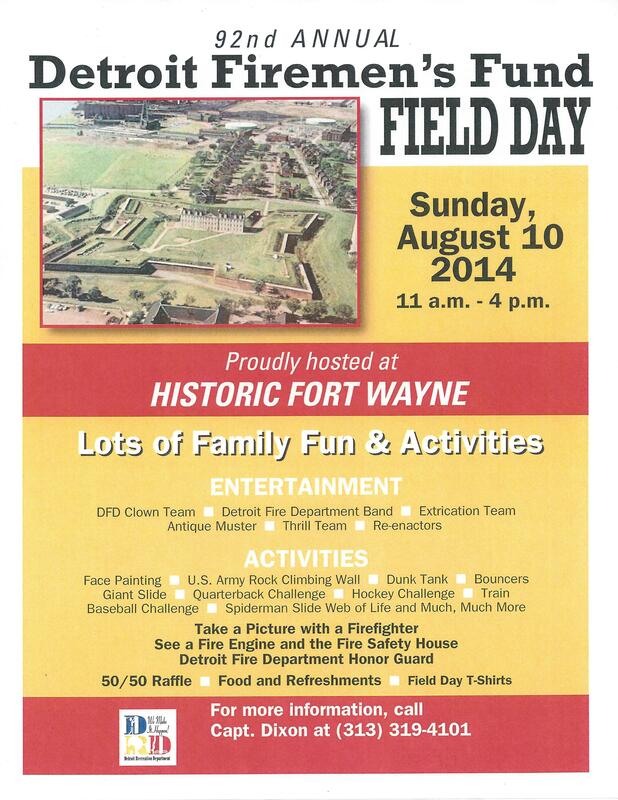 The 2014 Detroit Firemen’s Field Day will be held August 11th, from 11am – 4pm at Historic Fort Wayne. There is a $5.00 parking fee that goes to the restoration of the Fort. The public is welcomed! See the flyer below for all the details. Hope to see you at Field Day! most common questions we get.